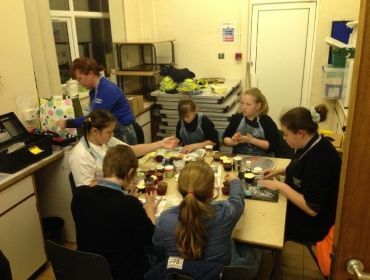 YEPS Tonyrefail have struck up a partnership with South Wales Police to deliver a great partnership, putting on a cake-making project for young people in EX2 (Extended Provision). 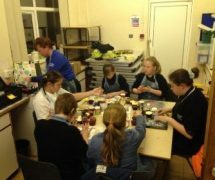 PCSOs Hayley Vranch and Cath James (the baking bobbies) have had a great response to their cake baking and sugar craft skills. Young people have attended two sessions with more planned for 2015. The YEPS team, Leon, Les and Ali are now looking to put on a fitness class so they can work off a few pounds they have put on from eating so many cakes!